TPC Scottsdale - Stadium Course, Scottsdale, Arizona - Golf course information and reviews. Set in the Sonoran Desert and surrounded by the majestic McDowell Mountains, the Tournament Players Club of Scottsdale, a 36-hole daily fee public golf course owned and operated by the PGA TOUR represents the standards of excellence in golf operations world wide. 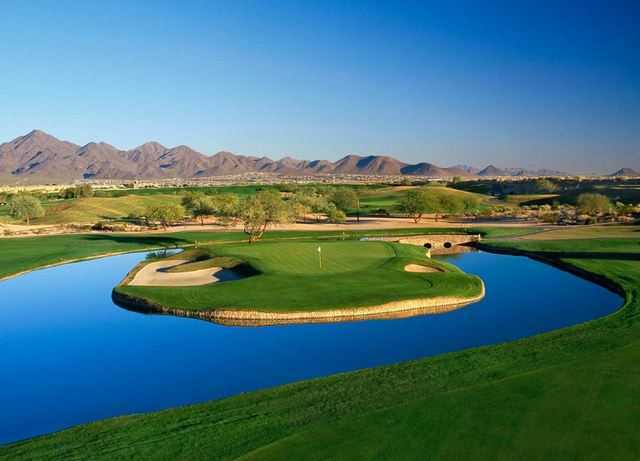 The design team of Tom Weiskopf and Jay Morrish created a masterful blend of challenge and playability between the Stadium Course and the Desert Course, two uniquely different golfing venues. 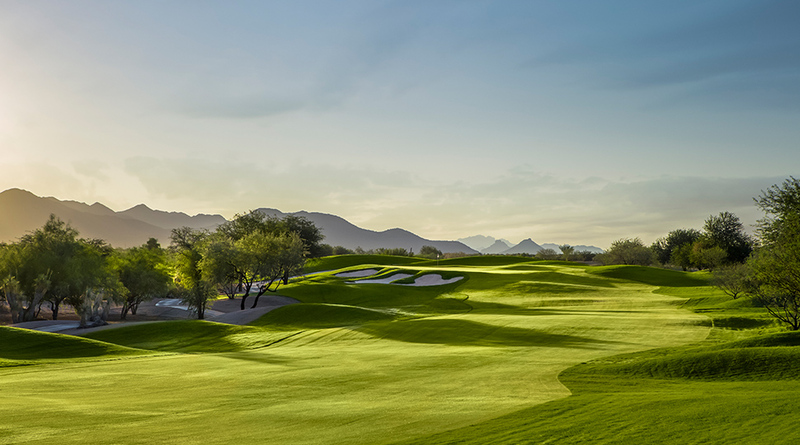 From the first moment you arrive at TPC Scottsdale, the home of the PGA TOUR's FBR Open, you will experience first hand what sets TPC Network Clubs apart from all other golf facilities. 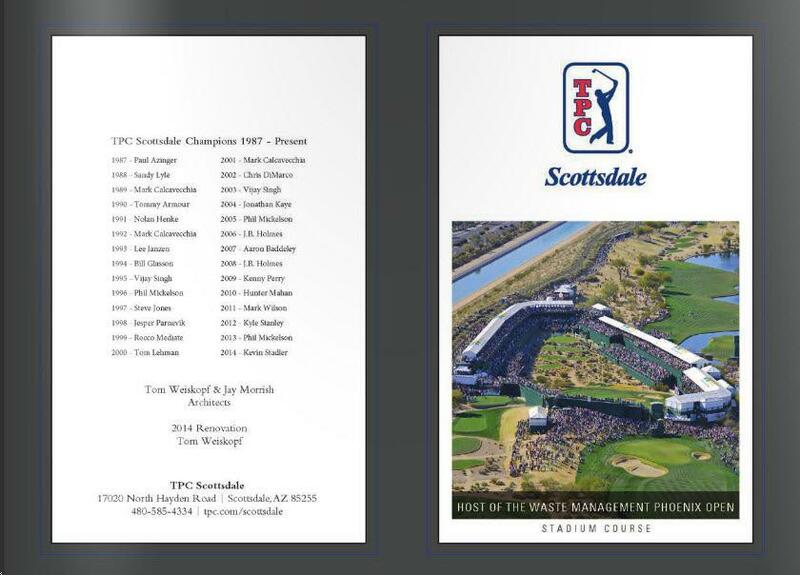 Set in the Sonoran Desert and surrounded by the majestic McDowell Mountains, TPC Scottsdale, a PGA TOUR Facility, embodies the standards of excellence in golf operations world wide. 10/10 - Played with a local which helped. However our group played behind a fivesome that the local said was never allowed to happen. It did occur this day however and slowed things down. I was disappointed in this because my tee time was 2:30pm. I was very disappointed because coming to the 16th hole is was almost dusk and hard to see the hole in all its charm. The big disappointment was paying a huge green fee and not finishing before dar due to the fivesome ahead of our group. The course itself was very challenging and fun to play. However you need to stay out of the bunkers and keep the ball in the middle of the greens to give yourself a chance at making a putt. Most greens were mounded and hard to hold when hitting the green. 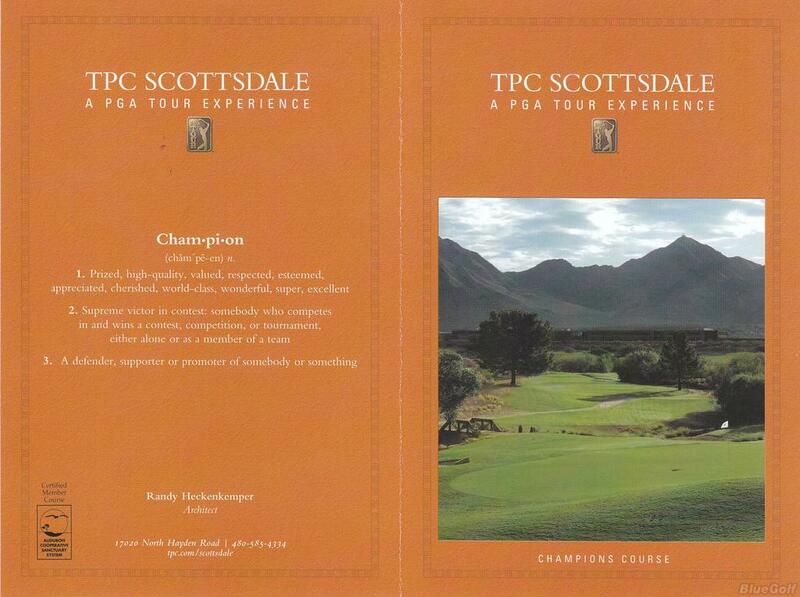 Add a course review for TPC Scottsdale - Stadium Course. Edit/Delete course review for TPC Scottsdale - Stadium Course.